Skype users will now be able to see what voice messages people are leaving for them after it announced a new deal with Spinvox. The service will convert any voice message the user chooses into a text message, or Skype users can choose to receive notifications of voicemail via SMS or for free via email. Each conversion will cost 17p plus the cost of sending a text message over Skype, although additional charges will be incurred should the voicemail be really long. We assume this means when your mate accidentally calls you in their pocket, leaving a four-minute message you'll receive an expensive text saying: 'schkfm schkfm schkfm' (the sound of someone walking with their phone in their pocket). However, you can set limits on who you receive visible voicemail from, and how many times you want it performed per day, so you can at least manage things if your crazy ex-girlfriend keeps on calling. 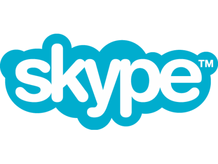 "Using SpinVox gives our users added flexibility and convenience over their Skype voicemails," said Mike Bartlett, Director of Product Strategy at Skype. "As people continue to spend more time on the move and on their mobile devices, people want to take their Skype conversations with them. SpinVox is a great option for our users to save time on checking their Skype voicemail and receive messages immediately sent to their mobile phone."